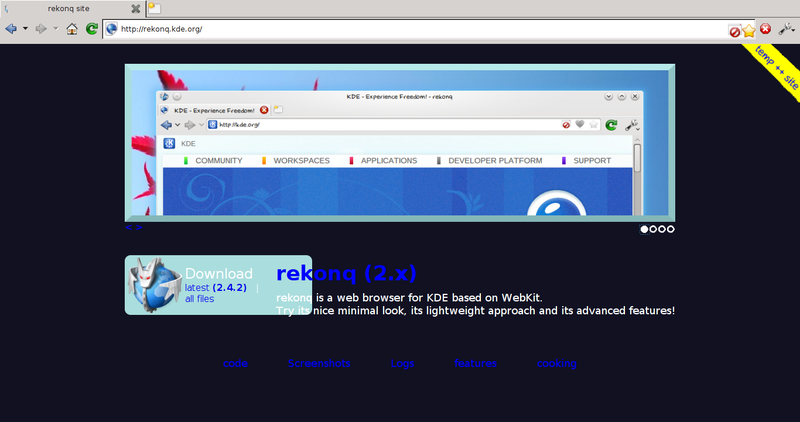 Privacy concerns drove me to compile Rekonq from the newest source code. However I need Chromium (open source version, not Chrome) to access Google+. Ridiculous that Google refuses the use of WebKit other than Safari and Chrome. Also, to use send2cgeo and other tools for Geocaching, I need to do that with Chromium too, because there are no addons possible with Rekonq). An adblocker however is integrated that works with EasyList. So that means only 70-75% of time I use the new in town, where the rest Chromium needs to be fired up. Still a good beginning I'll guess. It's quite fast and looks clean.